After picking up on the “bath trend” I received a gift set from Lush equipped with, “The Strawberry Feels Forever Massage Bar“, “The Comforter Bubble Bar“, “Sympathy for the skin Body Cream“, “You’ve been Mangoed Bath Melt“, “Miranda Soap“, and what you’ve all been waiting for…THE (avobath) BATH BOMB!! My experience: Of course I was immediately enticed by the spherical soap/ball of excitement and drew a much needed, hot bath. I decided that it would be beneficial to cut my bath bomb in half so I could get double the use out of it (and the same effect as I would later discover!) 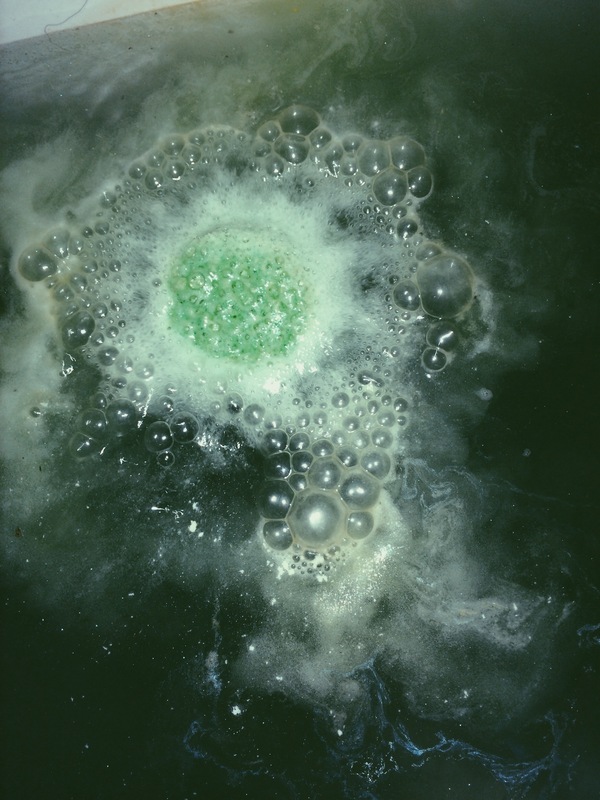 After my tub was full, I tossed that sucker into the water and watched in amazement as the small green ball swirled about my bath, transforming the once transparent water into a fizzing, emerald pool. 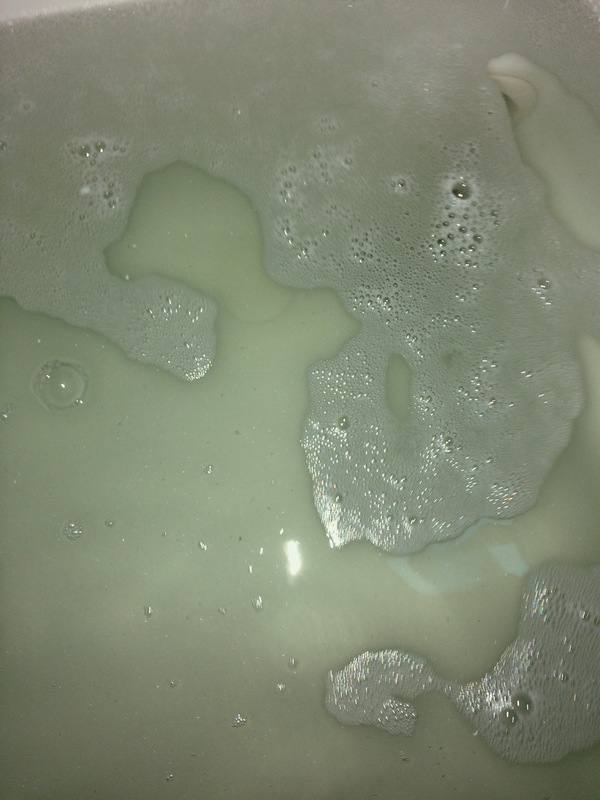 The only complaint I had was the product did not create many bubbles in the tub and flattened out quickly, however I simply added a bit of my own body wash under the running water for an immediate fix! The immediate effect of the “bomb”. Admirable Aromas: Much to my delight, the water diffused the once, very strong scent and left the bath smelling fresh yet not overbearing. 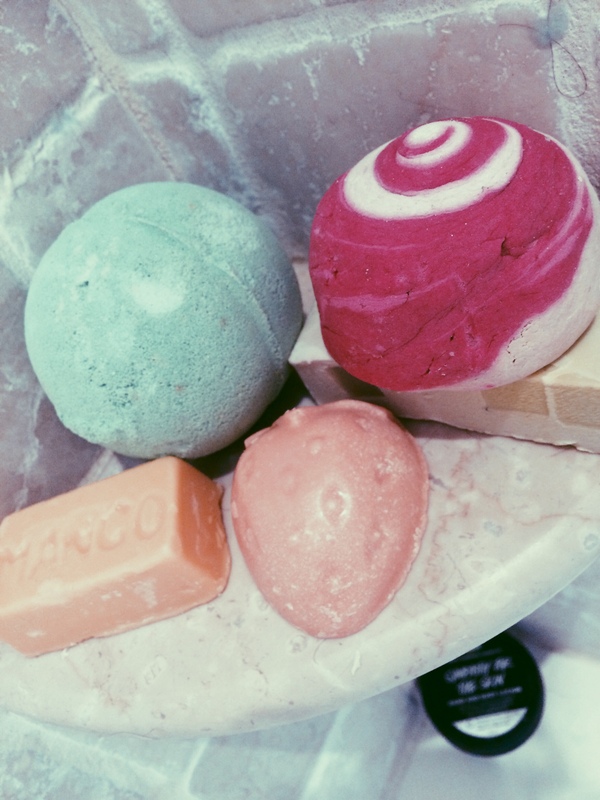 The Avobath Bomb is definitely a fruity one so keep that in mind when purchasing your own. Lush also offers many other scents featuring various natural ingredients- each with their own signature bath spectacle. This “bomb” in particular, included lemongrass and avocado, which left me smelling awesome for the rest of the day! 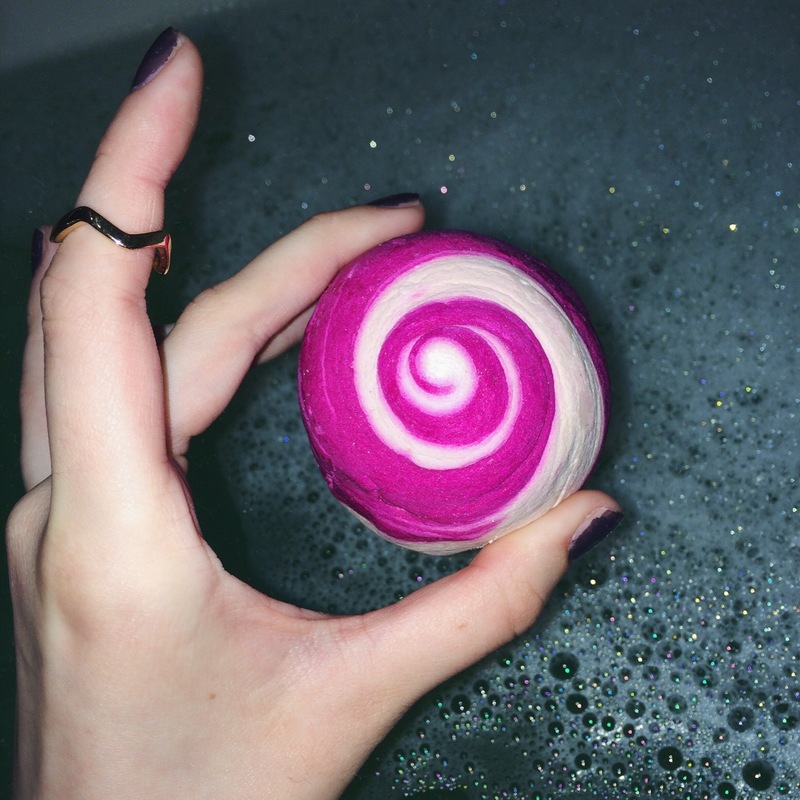 My point exactly- these Lush products are just so photogenic!! Can you say insta-worthy? Does this thing really work? I was honestly shocked to discover the immediate effects of the product. As soon as I stepped foot in the tub I noticed that my skin felt soft and hydrated- Let me tell you this thing is magic! I felt that the natural ingredients played a large part in the delightfulness in the bath bomb as it felt incredibly fresh to the skin. Also, other than a subtle (and pleasant) scent, it didn’t leave any residue on my body. Overall, I would definitely recommend the Avobath bomb by Lush. I was a bit skeptical towards the quality of the bath product however I immediately discovered that it is the perfect thing to spice up an everyday bath. The fresh, natural ingredients left my skin feeling incredible and I am eager to try out other Lush products in the future! Thanks for reading! Like, Follow & Comment for more Lush & beauty product reviews! Thanks so much! That means a lot to me 🙂 Have a great day!! You have a great Blog, i really enjoyed reading your posts! Keep blogging, i am looking forward to your next Posts! I haven;t tried the bath bombs from Lush yet, but I love the bath bombs by Basin. I picked up a lavender one at the Basin at Downtown Disney in Orlando as I wanted an excuse to use the giant Roman tub in my hotel room’s bathroom. That thing was so freaking relaxing I had one of the best night’s sleep in my entire life that night. Insta-worthy? Definitely! 😂 I have a post similar! Absolutely adore lush.